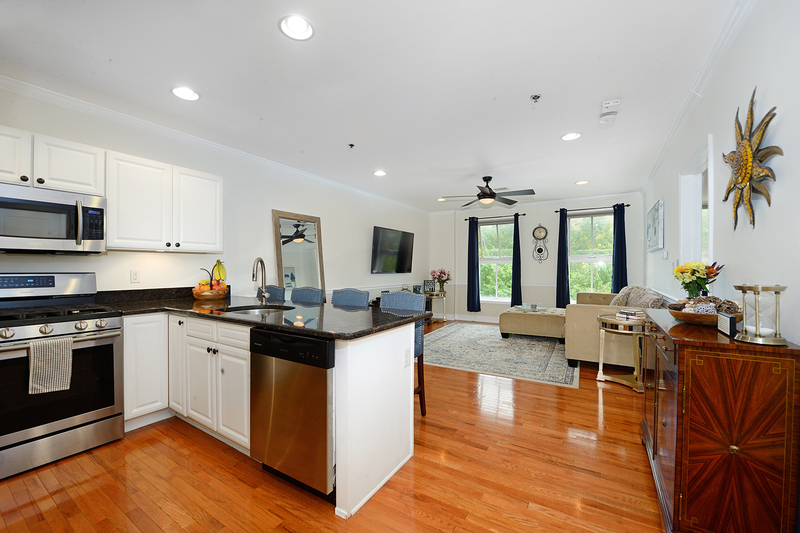 This gorgeous, sunlit 1 Bedroom home has Eastern exposure and extra-large windows to make it feel warm and welcoming all-year-round. 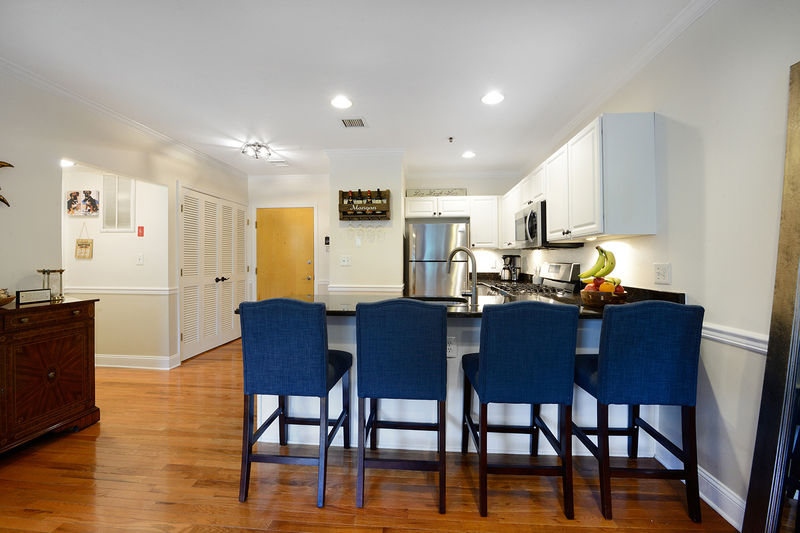 A great floorplan offers plenty of room in all the right places. 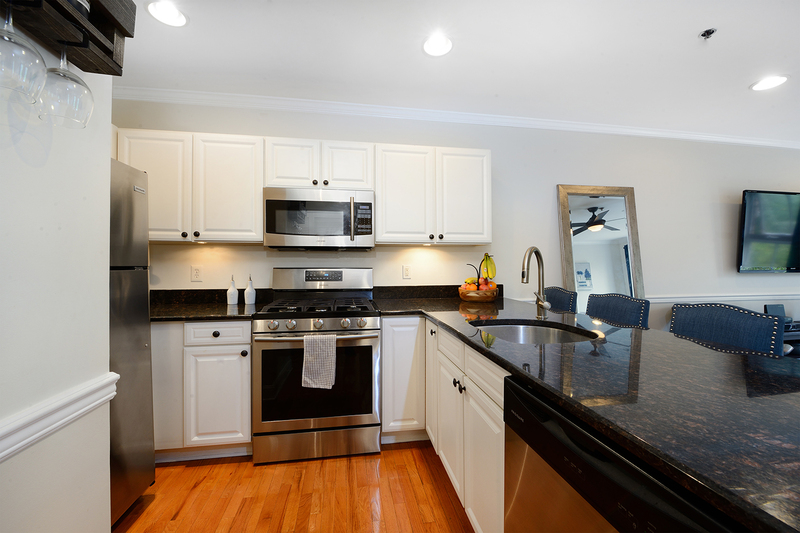 The open Kitchen has 1yr-old stainless appliances, great prep space and a large granite breakfast bar for casual meals. 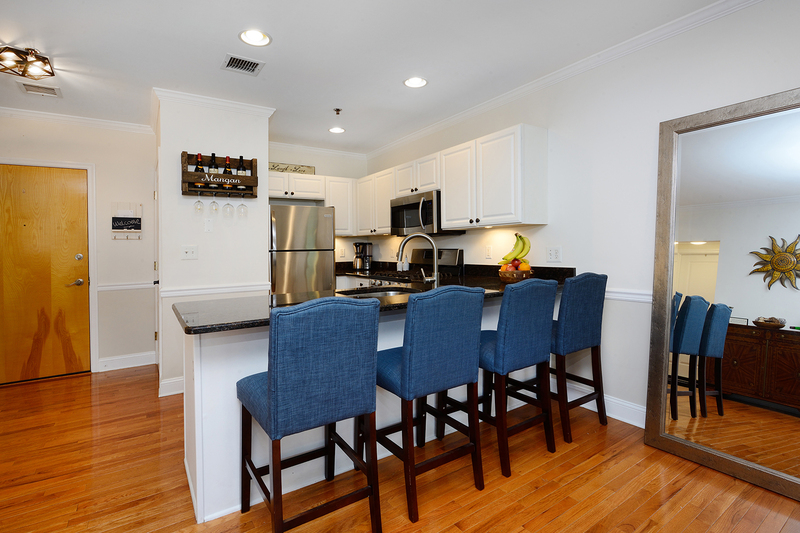 If you prefer, there’s plenty of room for a dining table and a full living area for hosting friends. 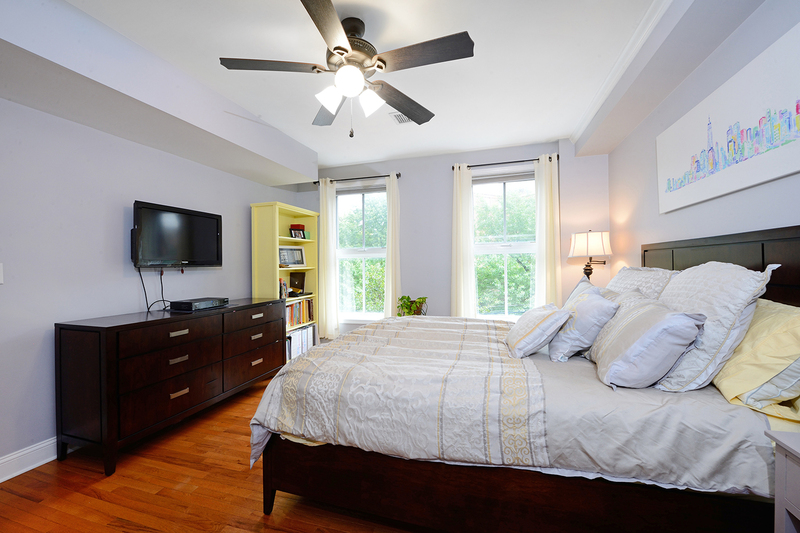 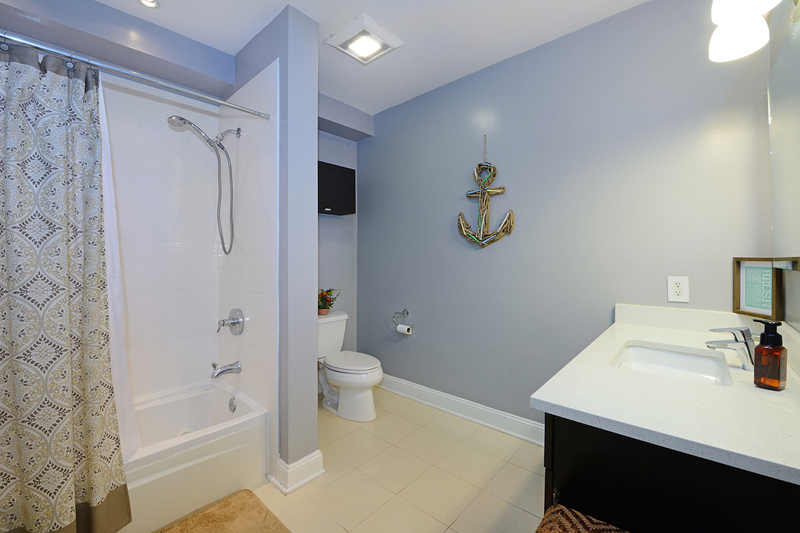 The spacious bedroom is a pleasant surprise and so is the tastefully renovated bathroom. 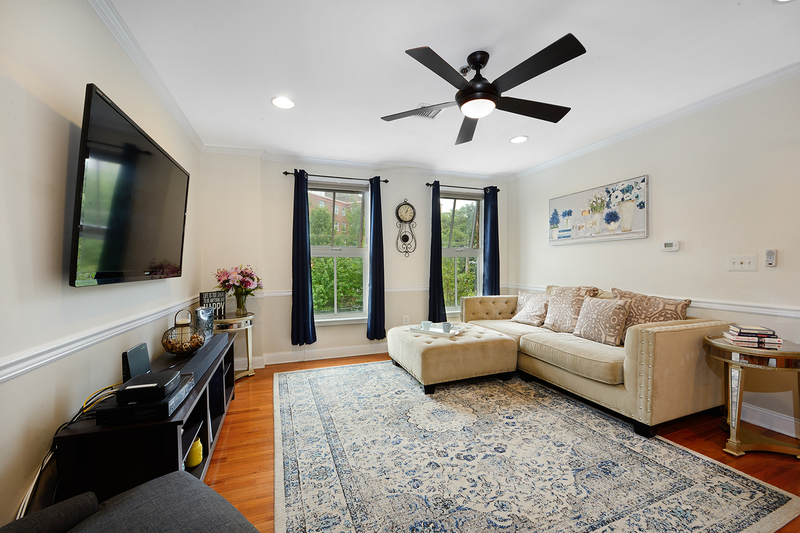 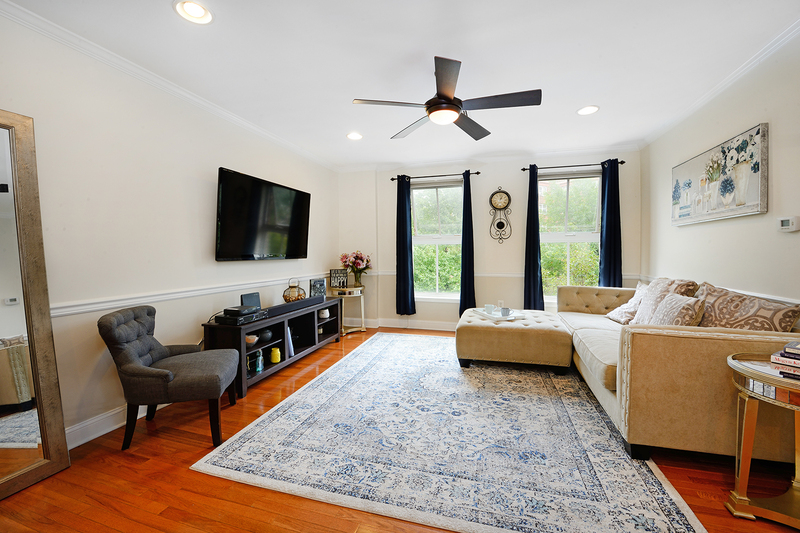 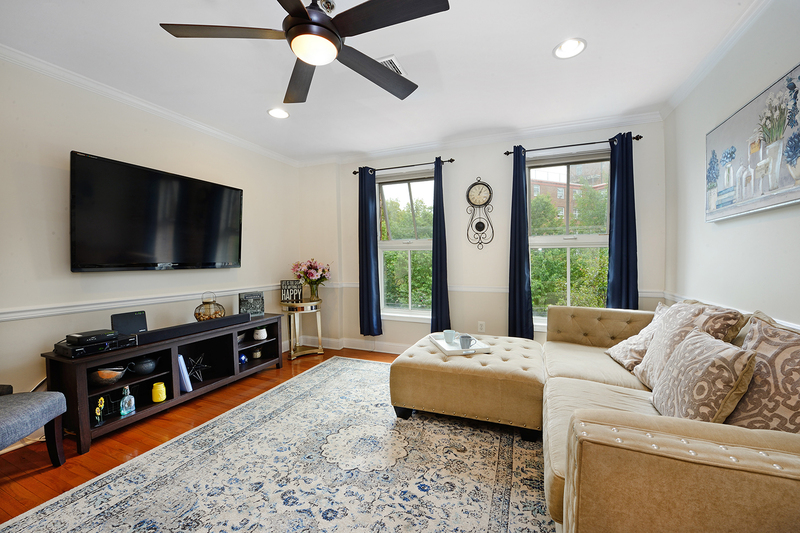 This home also features: a washer/dryer, recessed lighting, top-down/bottom-up custom blinds, hardwood floors, central air, custom closets, and a deeded garage spot. 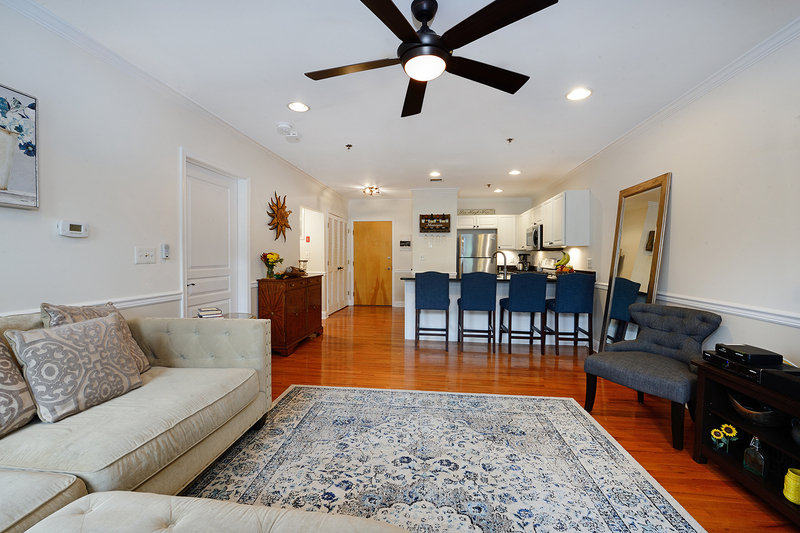 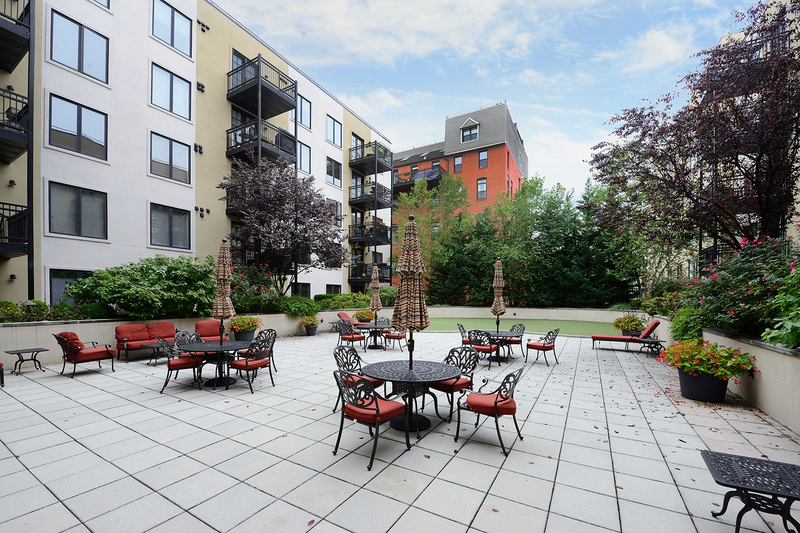 This is a rarely available 1 BR line in a sought-after, very well-maintained luxury building. 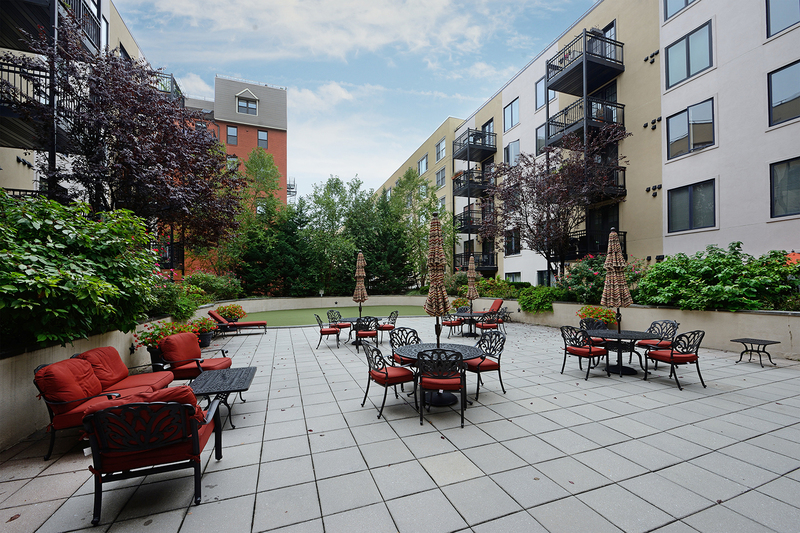 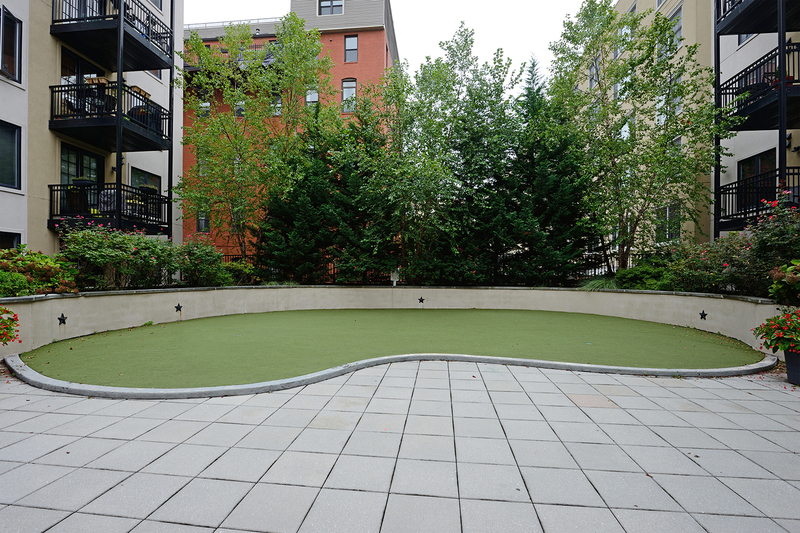 “Prospect Hill” has a well-equipped exercise room, wide sunlit halls, 2 elevators, a putting green, and a serene, landscaped courtyard that is a colorful, urban oasis. 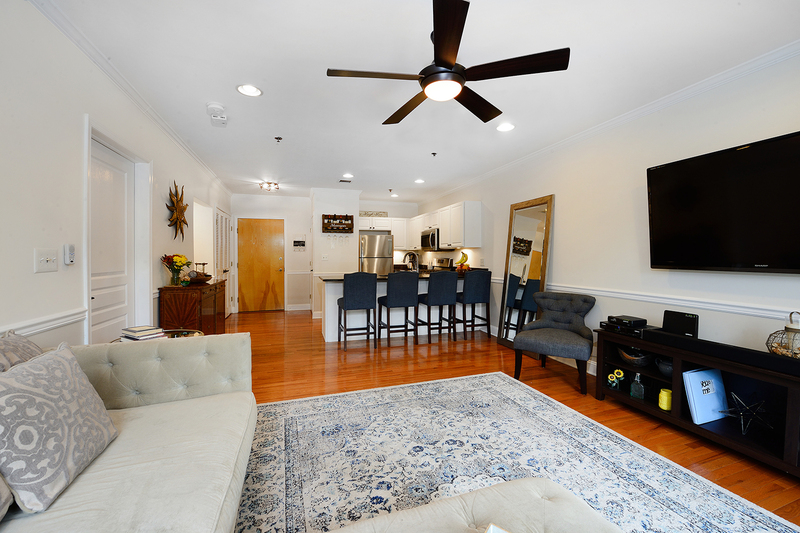 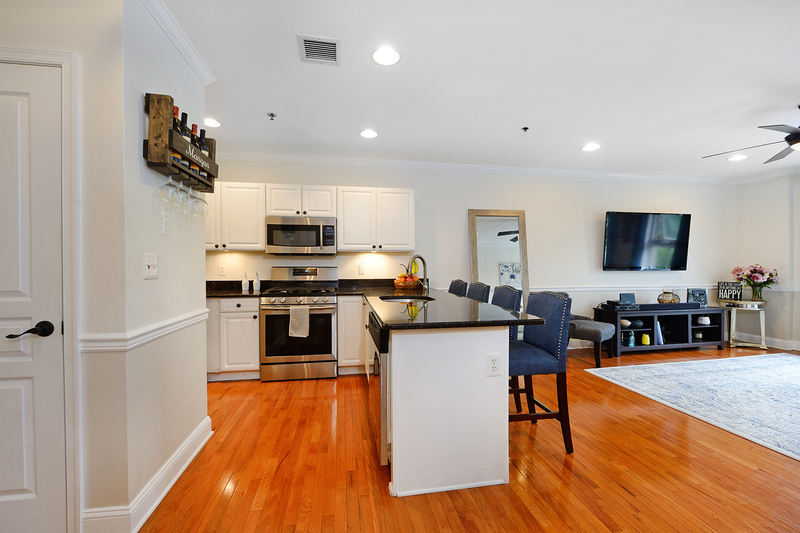 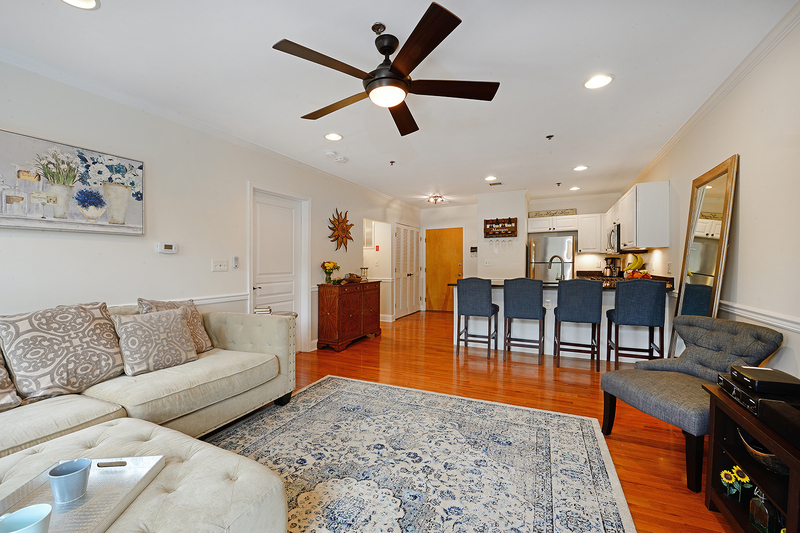 Located in a tree-lined neighborhood near a gourmet cheese shop, wine shop, craft beer shop, upscale nail salon, ShopRite, dog runs, brick-oven pizzerias, dry cleaners and beautiful Columbus Park with its great lawn, tennis courts & playground. 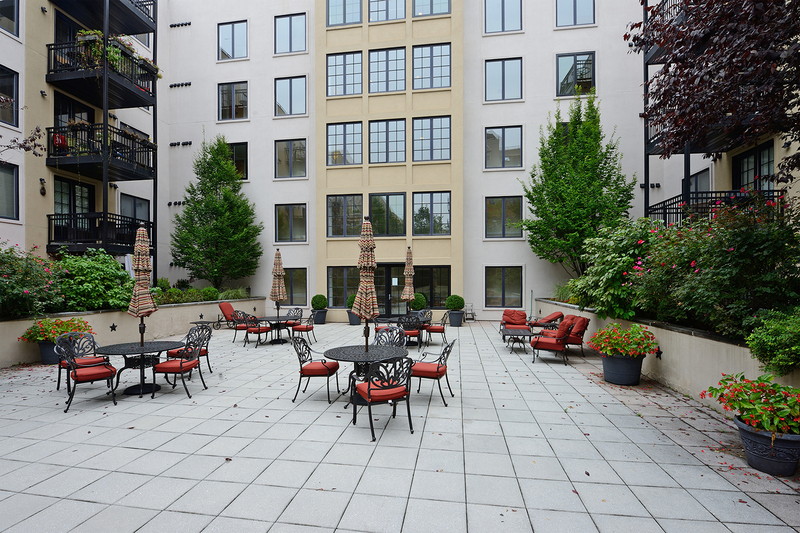 If you must go back to work, the commute is quick and convenient by bus or LightRail – both within 3 blocks. A must see!